UPDATED: Thu., Aug. 23, 2018, 9:58 a.m.
OLYMPIA – A Spokane Valley lawmaker who made disparaging remarks about reporters shouldn’t be on a special task force studying how to apply the Public Records Act to the Legislature, Gov. Jay Inslee said. 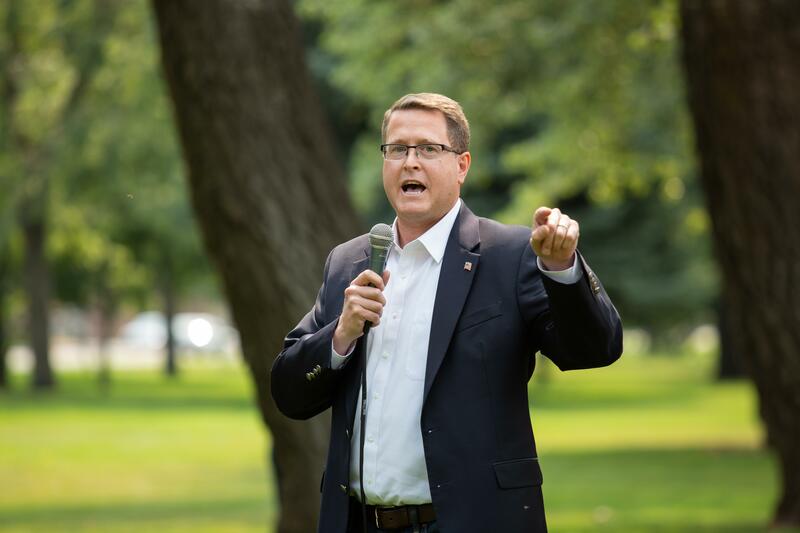 But the head of the House Republican Caucus said that’s not Inslee’s call to make, and Rep. Matt Shea will remain as one of two caucus members on the 15-member task force. After reports of Shea referring to reporters covering a gun-rights rally as “dirty, godless, hateful people,” Inslee took to Twitter on Tuesday to say those comments should disqualify him from the task force. “There is no excuse for condoning such ill-informed and radical rhetoric,” Inslee wrote. But House Republican Leader J.T. Wilcox said Wednesday Shea will stay on the task force, which is scheduled to meet monthly through the rest of the year. Inslee has often criticized President Donald Trump for his tweets. House Republicans have expressed support for a more open records policy, and it will be Shea’s job to represent them, Wilcox said. Resolving the issue will likely take people with different viewpoints, he added. Last year a group of news organizations led by the Associated Press, and including The Spokesman-Review, successfully challenged in a trial court the exemptions lawmakers had long claimed they had. With a Supreme Court appeal looming, legislative leaders in February proposed a bill and brought it to a vote without a hearing. It passed both houses in less than an hour with no member in either chamber speaking against it and was sent to the governor with a veto-proof margin. But criticism from the news media and the public over the process caused many legislators to call for Inslee to veto the bill, which he did after an agreement from legislative leaders and newspaper executives that included forming a Legislative Public Records Task Force. The body is scheduled to report its findings by December. Published: Aug. 23, 2018, midnight Updated: Aug. 23, 2018, 9:58 a.m.